As a rental customer at Radovich & Dean Music, you are entitled to receive a substantial discount off the purchase price of a new instrument. We'll give you a ONE YEAR RENTAL CREDIT towards the purchase of a new instrument of equal or greater value to the instrument rented. It's like renting for one year for free, PLUS getting a discount off a new instrument. Your price for a new clarinet is reduced to: $405! Applied toward purchase of new instrument of equal or greater value to that rented. Example: if you rented a clarinet (starting purchase price of $545), and are interested in purchasing a $200 beginner guitar, the rebate cannot be applied. If you have rented a clarinet, and are interested in purchasing a $950 intermediate violin, the rebate can be applied. Rebate cannot be applied to used instruments. Rentals instruments are not for sale. Interested in a new instrument, but can't swing it all at once? Split your purchase into two equal payments, with our Two-Pay Plan. An exclusive offer available to customers who have rented an instrument with us for at least one school year. 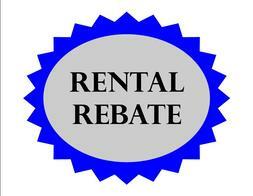 Rental account must be in good standing (timely payments, instrument returned on time and in good condition). The first payment (50% of the total) is due the day you take your instrument home. The balance is automatically charged to your credit card on February 15, 2019. Minimum expiration date of 3/31/19 required. You can opt to pay the balance in cash/check/other credit/debit card before February 15, 2019. All instruments include a 5-year Manufacturer's Warranty. Repair Coverage is available. $75 for one year (covers labor, not cost of parts). Compare to Repair Bench Rate: $68/hour. Cannot be used for purchase of used instruments. 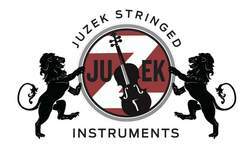 Instrument can be returned for 100% refund within 7 days of first payment. No refunds will be given after 7 days. To cancel second payment, instrument must be returned before February 1, 2019 and no further payment will be due. There are no cancellations or refunds after February 1, 2019 and the final balance will be due by February 15, 2019. Past Due Accounts will be charged a Late Fee of $5 per day. Accounts exceeding 30 days past due will be sent for Third Party Collection. Your 7th grader is ready for her first wood clarinet. The Buffet E-11 wood clarinet goes for $1,144, which comes to $1,239.82 with tax. Split the total into two equal payments of $619.91. Your first payment is due the day you take your new clarinet home. The second payment of $619.91 will be automatically charged to your credit card on February 15, 2019. If you prefer to pay by cash, or check, or another card, you may come in anytime before the due date to make your second payment.